Home TechBuzz Google's Tablet which fights against Ebola! The Ebola epidemic is still very much a grave situation. The disease has already claimed approximately 10,000 lives globally and it is looking as though the crisis is not going to get better anytime soon. One such company is Google. According to the Telegraph, Researchers from google have stepped up their game in the battle with an Ebola-proof tablet. The fight against this terrible virus has pricked the attention of many in the tech world, and these ones are looking at different ways to try and help the situation. The device is based around a Sony Xperia tablet, but the difference is that it is covered with an extra protective casing. The tablet can be used with gloves, and it can being soaked in chlorine, which is used as a disinfectant. 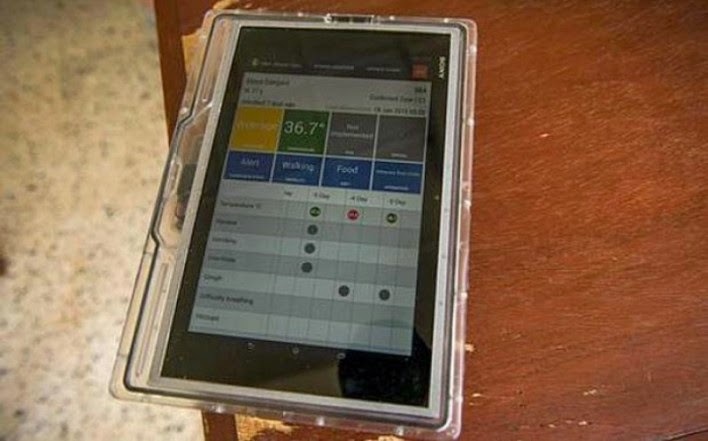 The initial idea for an Ebola-proof tablet came from a medical professional that worked for Medecins Sans Frontieres.The risk of the disease is so high that even passing a piece of paper with patient data on it, potentially could transmit the disease. MSF technology adviser Ivan Gayton said,”It was error prone, exhausting and it wasted five or 10 minutes of the hour medics can spend fully dressed inside the protective zone before they collapse from heat exhaustion.” It was Gayton who reached out to a member of Google’s Crisis Response Team. They, in turn, dispatched five engineers to work on designing the Ebola-proof tablet.